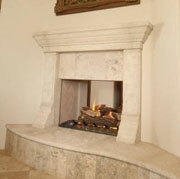 Chimney King is an authorized dealer of Sonoran Series fireplaces for the USA. The Sonoran real masonry zero clearance firebox is designed using the latest technologies combined with traditional brick laying techniques to produce the finest and safest fireplace available today. 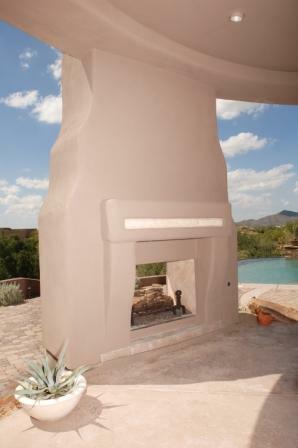 The optional arched front may be added to any of the Sonoran fireboxes. The clean front surface allows you to create the desired look to compliment any decor. Our unique "integrated air tube" allows for outside air to be delivered directly into the fire for greater efficiency. The Sonoran uses lightweight, inexpensive snap lock chimney for quick and easy, safe installation.